This is the fourth installment of a 5 part workshop integrating the work of Kannan with EFT and The Work of Byron Katie. Enjoy! If you like this video, please visit my main website, KerriKannan.com. I have been using The Work of Byron Katie for several years and have started using some of her inquiry questions with EFT. I created a 5 part mini workshop that integrates some of it which I posted on Youtube. 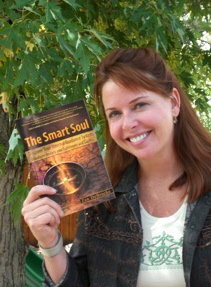 Join Kerri Kannan in Intuitive Soul Radio. As she shares her process, her listeners grow and expand vicariously through her sharing. Today’s show On Uncovering the Divine Within was on gratitude. Kerri’s authentic and vulnerable journey within to heal herself and her attachments through gratitude.